Artline Slimline Stamp Pad EHJ-4 Large #2. 87 x 143mm. Quality stamp pads with metal and plastic casing and a fabric ink mat Stamp pad surface will not dry out when left open for extended time Water based ink is instant drying and blur proof. ..
Artline Slimline Stamp Pad EHJ-3 Medium #1. 67 x 106mm. Quality stamp pads with metal and plastic casing and a fabric ink mat Stamp pad surface will not dry out when left open for extended time Water based ink is instant drying and blur proof. 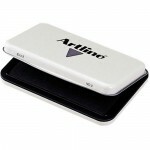 ..
Artline Slimline Stamp Pad EHJ-2 Small #0. 56 x 90mm. Quality stamp pads with metal and plastic casing and a fabric ink mat Stamp pad surface will not dry out when left open for extended time Water based ink is instant drying and blur proof. 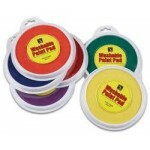 ..
Set of 6 Paint Stamper Pads assorted colours Jumbo Washable Paint Pads 160mm diameter suitable for use with Educational Colours Paint Stampers. Also ideal as a finger paint pad filled with non toxic washable paint. 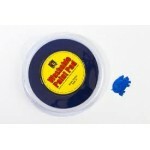 ..
Blue Jumbo Washable Paint Pads 160mm diameter suitable for use with Educational Colours Paint Stampers. Also ideal as a finger paint pad filled with non toxic washable paint. 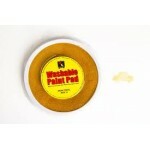 ..
Gold Jumbo Washable Paint Pads 160mm diameter suitable for use with Educational Colours Paint Stampers. 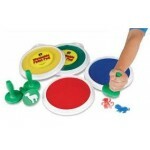 Also ideal as a finger paint pad filled with non toxic washable paint. 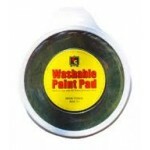 ..
Green Jumbo Washable Paint Pads 160mm diameter suitable for use with Educational Colours Paint Stampers. Also ideal as a finger paint pad filled with non toxic washable paint. 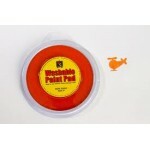 ..
Orange Jumbo Washable Paint Pads 160mm diameter suitable for use with Educational Colours Paint Stampers. Also ideal as a finger paint pad filled with non toxic washable paint. .. 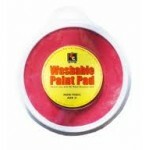 Pink Jumbo Washable Paint Pads 160mm diameter suitable for use with Educational Colours Paint Stampers. Also ideal as a finger paint pad filled with non toxic washable paint. 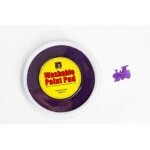 ..
Purple Jumbo Washable Paint Pads 160mm diameter suitable for use with Educational Colours Paint Stampers. Also ideal as a finger paint pad filled with non toxic washable paint. 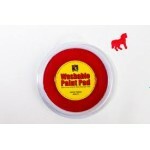 ..
Red Jumbo Washable Paint Pads 160mm diameter suitable for use with Educational Colours Paint Stampers. Also ideal as a finger paint pad filled with non toxic washable paint. 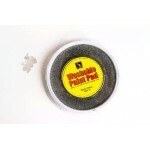 ..
Silver Jumbo Washable Paint Pads 160mm diameter suitable for use with Educational Colours Paint Stampers. Also ideal as a finger paint pad filled with non toxic washable paint. 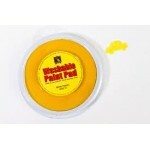 ..
Yellow Jumbo Washable Paint Pads 160mm diameter suitable for use with Educational Colours Paint Stampers. Also ideal as a finger paint pad filled with non toxic washable paint. 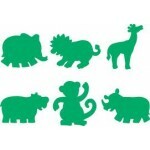 ..
Australian Animals - Assorted - Set 6 These Educational Colours paint stampers are made of robust plastic and ideally suited for small hands for both classroom and home use. Measuring 80mm high and with a stamp diameter of 60mm they are ideal for general art activities and theme projects. 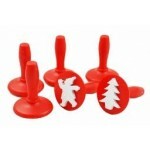 Hang-..
Christmas - Assorted - Set 6 These Educatioinal colours paint stampers are made of robust plastic and ideally suited for small hands for both classroom and home use. Measuring 80mm high and with a stamp diameter of 60mm they are ideal for general art activities and theme projects. 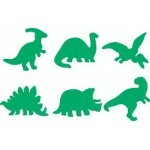 Hang-sell pac..
Dinosaurs - Assorted - Set 6 These Educational Colours paint stampers are made of robust plastic and ideally suited for small hands for both classroom and home use. Measuring 80mm high and with a stamp diameter of 60mm they are ideal for general art activities and theme projects. 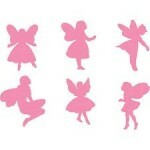 Hang-sell pack..
Fairies - Assorted - Set 6 These Educational Colours paint stampers are made of robust plastic and ideally suited for small hands for both classroom and home use. Measuring 80mm high and with a stamp diameter of 60mm they are ideal for general art activities and theme projects. 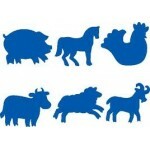 ..
Farm Animals - Assorted - Set 6 These Educational Colours paint stampers are made of robust plastic and ideally suited for small hands for both classroom and home use. Measuring 80mm high and with a stamp diameter of 60mm they are ideal for general art activities and theme proje..
Geometric shapes - Assorted - Set 10 These Educational Colours paint stampers are made of robust plastic and ideally suited for small hands for both classroom and home use. Measuring 80mm high and with a stamp diameter of 60mm they are ideal for general art activities and theme ..